VP Racing Fuels entered into a license agreement with Briggs & Stratton to provide Briggs-branded fuel for gasoline-powered engines. VP will produce three blends: an ethanol-free fuel for 4-cycle engines and two pre-mixed gas + oil blends (40:1 & 50:1) for 2-cycles. Each is formulated to include Briggs’s Advanced Formula Fuel Treatment & Stabilizer and will be packaged in quarts, gallons, 5-gallon pails and 54-gallon drums. Carissa Gingras, director of marketing for consumer engine and service for Briggs, spoke to the importance of the fuels being ethanol-free. “In order to ensure peak engine performance, outdoor power equipment owners need to maintain good engine health,” Gingras said. 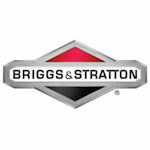 “This new Briggs-branded fuel helps do just that. Briggs-branded small engine fuel is available for order by dealers currently, for shipment in January. Dealers can contact regional IDN distributors for more information.